I found some beautiful silk flowers that I thought would be wonderful for a medium vase. 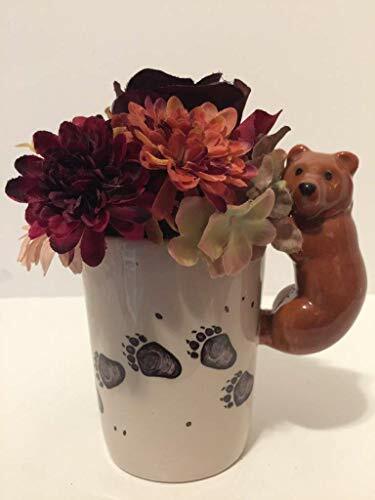 I found a ceramic climbing bear mug that I thought would make a great vase. It measures 5.5" X 3.5" X 5.75". It is colored in brown, black, & white. The flowers are arranged in the vase using foam, wire, moss, and glue.